If you haven’t figured it out by now, my pretty thrifty; I’ll even say I’m cheap. I feel if there is a way to save I’ll try and do it; but extreme couponing- no. 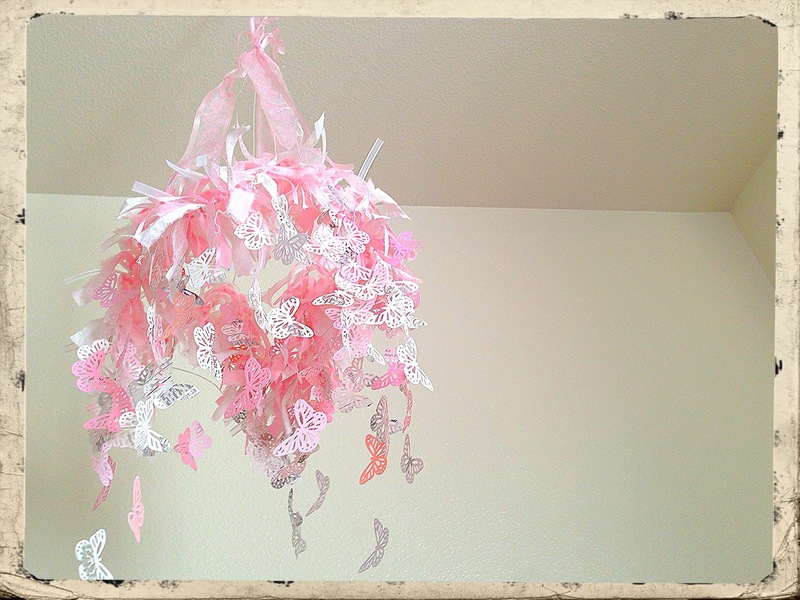 I also like to repurpose and make a challenge of it. I also like to save my furniture and decor. One thing I have learned from moving so many times is not all your furniture may for in this house but it can in the next. 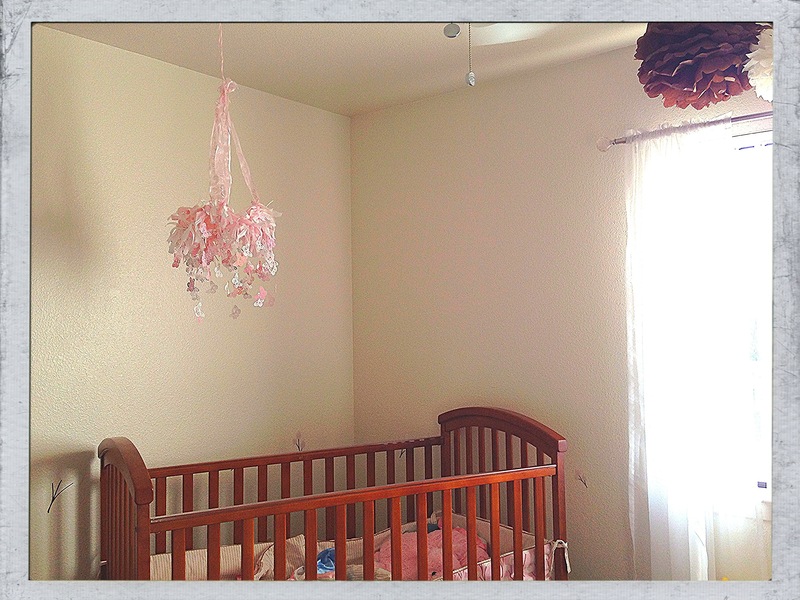 Also, not every bathroom you have will be completely pink (walls, tile, floor, toilet- you get the picture). So I have a few totes full of different color pillows, curtains and bathroom ensembles. I try to make all my furniture fit some how just in case I have an office in the next house I lack in this one. 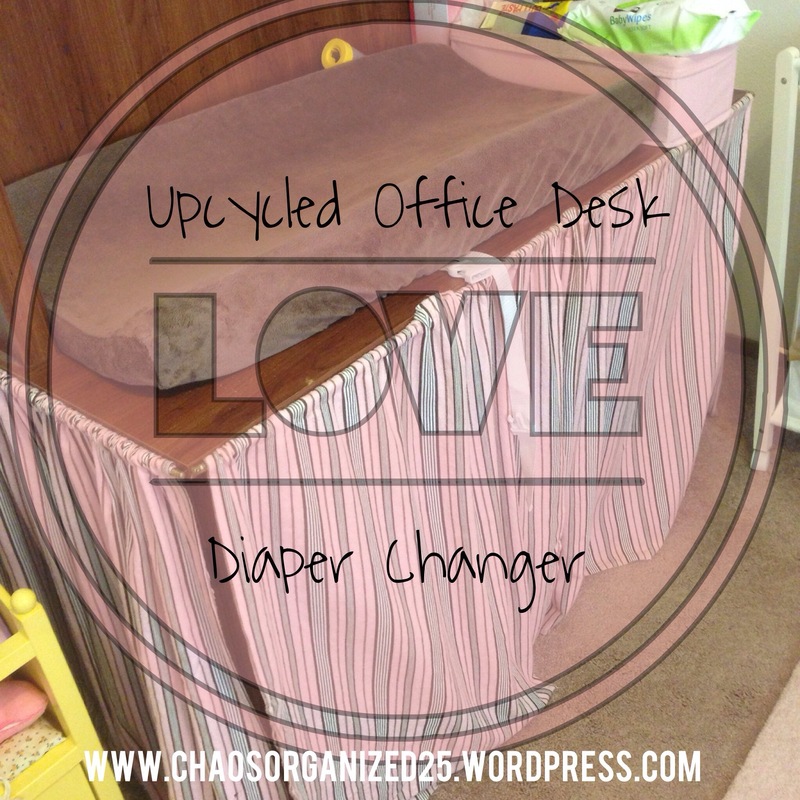 Which is how the office desk got turned into a diaper changer. Took our old desk we had no room for in our new home. It was a $100 Sauder desk from Walmart with a hutch and a lower cabinet for the computer. Next, I went to our local, and only, fabric store with height and width of the desk measurements from the floor to the top of the desk (not top of the hutch). Remember to measure the front and sides. I hit up the back room where they have bundles or fabric remnants and bought in bulk. I always want extra fabric to make coordinating projects. And buying from the remnant sections allow me to buy extra. After I got home, I whipped up a couple of hems on my measured out fabric. I used the hem as the pocket to run the rods through. Once I got the fabric panels on the rods I told my curtain rods and nailed them to the front and sides on the desk top. As a disclaimer please watch your children when they are being changed. 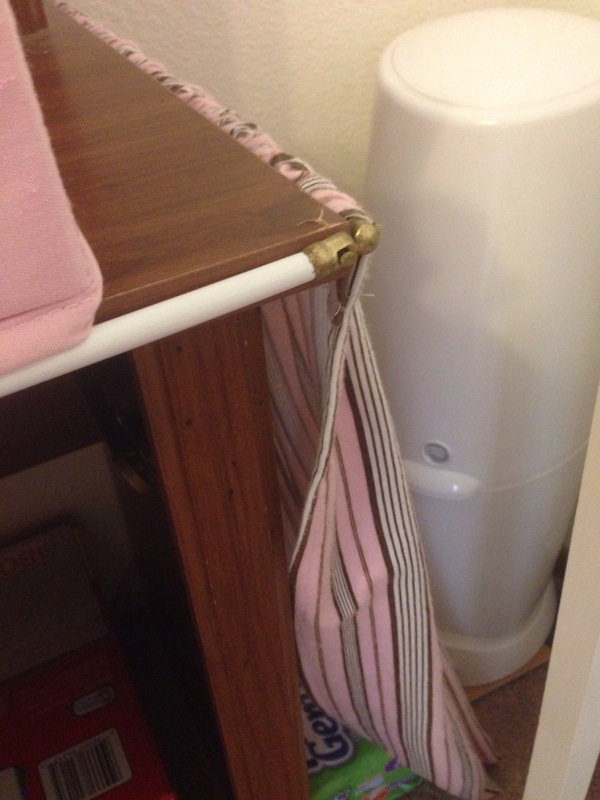 There are little white straps on most diaper changing pads that allow you to screw them to the changer as a anchor. Additionally, you can cut a few pieces of scrap 2×4, paint it and attach it to the top of the desk to create a lip to keep the pad on and adds a little more security.